Dr. Karen Stierman came to Austin to practice otolaryngology in July 2001. She received her bachelor’s degree from Texas A&M University in electrical engineering, graduating with honors. Prior to attending medical school, she was employed by Motorola in Austin as a semiconductor circuit design engineer. After changing course and becoming interested in medicine, Dr. Stierman earned her medical degree and completed her ENT residency at the University of Texas Medical Branch (UTMB) at Galveston, where she graduated with honors. Throughout medical school, Dr. Stierman received many awards, including being elected to the Alpha Omega Alpha Honor Medical Society, being a member of the UTMB dean’s list, receiving the Joseph H. Stjepcevich Academic Scholarship, and being cited by the Janet M. Glasgow Memorial Award for academic achievement. Dr. Stierman is board certified by the American Board of Otolaryngology – Head and Neck Surgery and is affiliated with numerous professional organizations. She has participated in research and published many papers in the field of otolaryngology. Additionally, she participated in FIERO (Foundation for Innovation, Educational and Research in Otorhinolaryngology) and served as editor-in-chief of IVOICE, a clinical online journal. Dr. Stierman also does consulting work in biomedical technology development. She has been a leader, faculty member, and journal coordinator for the national annual meeting for new technology in Otolaryngology - the Open Forum. In addition, Dr. Stierman has been on the local news numerous times including for starion entceps and for patient education on how to avoid hearing loss and foreign body ingestion. In 2018 and 2019, she was honored to be named as one of the Top Doctors in annual medical edition of Austin Monthly, which recognizes the best physicians in the Austin area as chosen by peers. 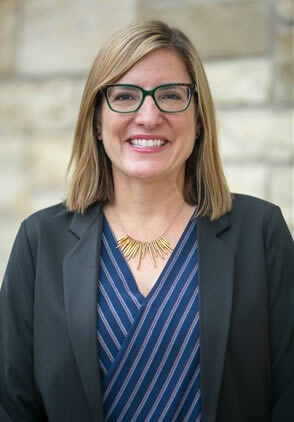 Dr. Stierman began seeing patients in Austin in June 2001 as part of a group practice and opened her own practice in 2003. She enjoys caring for patients in Austin and its surrounding communities. Dr. Stierman is committed to providing the highest quality of care while treating diseases of the ears, nose, and throat. She uses her technical background, combined with her ability to relate well to patients, to deliver personal service and state-of-the-art medical and surgical care. Moreover, Dr. Stierman integrates her technical, problem-solving background in her approach to solving patients' problems and welcomes patient involvement in their care. Dr. Stierman and her husband, Ken, have three children. She enjoys watching their children play sports and spending relaxing family time at the lake. She also loves to travel and enjoy all that Austin has to offer. In addition to participating in many volunteer opportunities in her community, she goes on medical mission trips around the world.